Cat Reinheimer Collections and styling services started in 2010 and has quickly grown in the D.c./Maryland/Virginia area. Cat creates one of a kind pieces as well as small collections each season that can be ordered or bought off the rack. Cat knew she wanted to design clothes from a young age. She started drawing designs and manipulating fabric on her dolls around the age of 3. Cat also wanted to help children, so she decided to go to nursing school for her RN in pediatric nursing. She had always planned to pursue designing part time after her nursing education. It wasn't until her life changed in an instant due to a serious spine injury in 2004. That injury forever changed her life and motivated her to pursue her dream of being a designer. Unable to continue nursing due to her spine injury, Cat knew she must make her dream to be a designer a reality. Her new motto is "Life is too short to not do what you love"
Cat bought books on pattern making,sewing and design and got to work on her craft. She experimented with fabrics, pieces of her own clothing taking them apart and putting them back together. Learning along the way construction,sewing and design. In 2010, Cat made a few dresses and skirts and approached a local boutique in Downtown Annapolis,Md where she ultimately sold her 1st dress. In 2010 every item that was for sale at the boutique Vivo! sold. Giving Cat the motivation to create her 1st Collection and to present it at Baltimore Fashion Week in 2011. Cat appeared in several magazine articles ,newspapers and news segments for her appearance at BFW. In September 2011 Cat shot her 1st collection "The Rotante Collection" inspired by her late aunt Nancy Rotante, who was a lingerie designer in the 40s and 50s in the Garment district in NYC. with photographer Timothy R. Lowery in Washington,D.c. Cat Reinheimer Collections was born....In 2012 Cat styled 30+ shoots. Some of her own Collections and some for commercial/print/editorial using store brands and designers. Having worked with so many amazing photographers,models,hair and make up artists has been a true blessing to her brand. As well as contributing to her success and determination to continue what she loves. 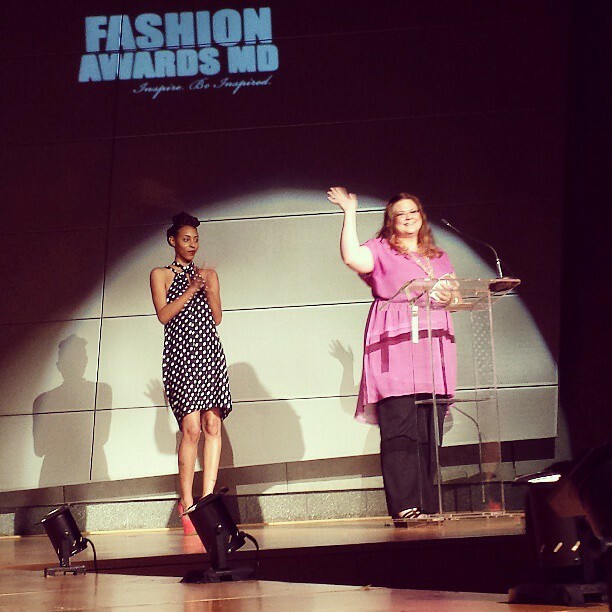 In June 2013 Cat Reinheimer won Maryland's Ready-to-wear designer of the Yr!